In the first week of April, 2018, the annual West African Secondary School Certificate Examination (W.A.S.S.C.E.) will commence across English-speaking West Africa, currently including Nigeria, Ghana, Liberia, Sierra Leone and the Gambia. Some candidates are already set for the examination and would be comfortable to start this very day. Others would have been well prepared by the day of their first paper. Others would not have been fully prepared while the large chunks of them would be woefully unprepared. No matter the levels of preparation of these candidates, they are going to sit for the same examination. This can cause some of them to develop fear for the examination. 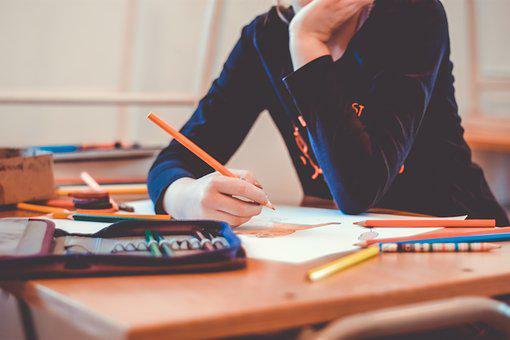 This write-up shall highlight some of the symptoms of the fear for examination, what causes it and suggest ways in which this can be dealt with by candidates, teachers and parents. In order to understand what the fear of examination is, we need to know what the W.A.S.S.C.E. itself is. W.A.S.S.C.E. can be defined as a way of assessing what the candidate has studied and learned over the three years of secondary school education. The West African Examinations Council, for example, evaluates how well the students have learnt and how much they have grasped what they learned. The fear of examination, on the other hand, is the anxiety some of the candidates experience before the onset of, or during the examination. Come April this year, some candidates are going to walk into the examination hall, believing (and rightly so) that their entire life is dependent on how well they perform. This can be very stressful and can drive the calmness of spirit away. In the last examination organized by W.A.E.C., a candidate confided in this writer, how he felt in the days leading to the examination. Anytime he thought about the examination, he felt sweaty, nervous and greatly upset. Sometimes, his heart paced faster than was usual and sometimes, he felt like crying. What this candidate felt was just some of the symptoms of the fear of exams which is also called testophobia. These are not however the only symptoms of testophobia, sometimes the individual may feel nauseous and possibly lightheaded. In severe cases, the candidate may experience memory blankness and feel like visiting the washroom frequently. Some experience insomnia and others feel not like eating at all. Some schools of taught are of the view that the fear of exams is experienced only by those who are inadequately prepared for the examination. However, studies have shown that even those who are adequately prepared for the examinations also face the same challenge. What then causes the fear of examinations? Some parents are the major causes of putting the fear of examinations in their children. Parents constantly remind their children of the need for them to pass their papers. Some even go further to threaten their wards with what will happen to them if they do fail the exams. Parents expect good grades and that is all, ordinarily no one should blame them, after all, they just want the best for their children. Though they cannot be blamed for expecting much from their wards, studies show that such high expectations put so much pressure on the candidates and can cause them to develop the fear for the impending examinations. In some cases, the pressure is from the school authorities and teachers. Standards have to be maintained to keep the school among the top notch in the table of best schools. In extreme cases, final year students who are assessed to be unequal to the task are not registered for the examination at all. Their parents are advised to let their wards write the paper the following year. Some teachers expect nothing less from, especially, students that they have identified as “A” materials. Such pressures can be detrimental to the candidates. In some cases, the candidate him/herself expects to do very well in the examination. Some want to obtain straight “A”s in the examination and anything short of this, they consider as a failure. This can also put undue pressure on the candidate and cause him/her to develop the fear of examinations. Some of the candidates fear that they may not be able to do as well as their colleagues, especially, those perceived to be better academically. Some candidates look at the performance of their elder siblings who may have done well in previous examination and may want to do better or wander whether they can do better or not. This can also put undue personal pressure on the candidate. 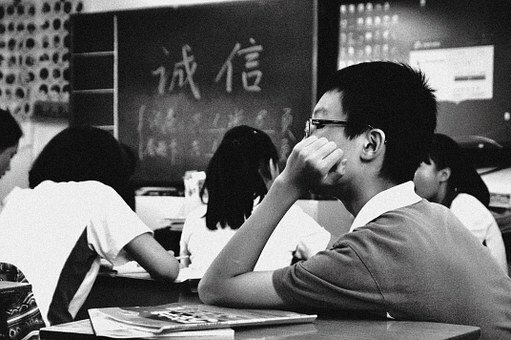 It has been noted that some students have a very low esteem of themselves. Constantly, they think of themselves, not as good as others. In their estimation, other students are better than them. This also brings a lot of pressure on them, leading to the fear of examinations. Low self-esteem can be the result of many factors, many of which are avoidable. Parents who are too critical of their children, negligent in identifying children’s good efforts and positively reinforcing them, or needlessly being harsh in correcting wrong doing; unhappy childhood, negative peers either at school or in the neighborhood, and previous bad choices made by the youth. Other causes include traumatic experiences in the past, and persistently unrealistic goals set either by the youth or the parents. There are several of the candidates who have sat for the W.A.S.S.C.E. examination in the past and did not do well. They failed miserably. The fear that they could fail again also adds to the pressure and can cause them to experience examination fear. Some candidates fear the scolding that they would receive from their parents or guardians when they fail the examination. This is especially so if they had earlier been scolded for failing a terminal or major examination. The particular words that were used on them may be resonating in their minds. This can trigger testophobia. Whenever a candidate is not adequately prepared for the examination, there is the danger that he/she may develop testophobia. The fear that he/she may not be able to tackle the questions for lack of preparation can cause fear and panic. DO THE CAUSES LISTED ABOUT AFFECT THE CANDIDATES? Statistics in English-speaking West Africa are either scanty or unavailable. The Times of India (TOI) Report of March, 2008 indicated that 5,857 students committed suicide as a result of examination stress. Again in India, a survey of 740 colleges, conducted by the Tata Institute of Data Studies (TISS) in 2010 concluded that, one third of the students who were surveyed experienced testophobia. 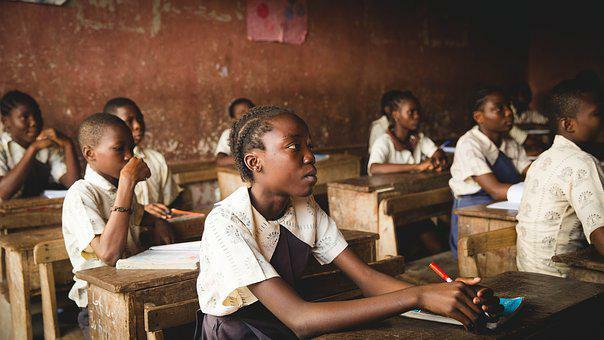 Looking at the myriad of problems that bedevil the western form of education in West Africa, there can be no doubt that the phenomenon of testophobia exists in the sub-region. The greatest danger a candidate can face when he/she exhibits the symptoms of the fear of examination, as explained above is a possible failure when the final results are released by the West African Examinations Council. No parent would want to hear this because it is bad news. The fear of examinations has led many candidates to adopt unorthodox methods to pass their exams. Such unorthodox methods include, but are not limited to buying the question papers and knowing what the exam paper contains before the day of the examination, taking solved questions into the examination hall, copying in the exam hall, exchanging answer sheets with fellow candidates, impersonation and other very ingenious ways in the wake of the handheld gadgets and technologies of today. Most parents from the middle and upper class of the countries involved may have been guilty of applying much pressure on their wards to come out with flying colours. Could it however be that they may have applied too much pressure? Could their wards be experiencing examination related stress, as we peruse this write up without reporting to the parents for fear of the backlash they may receive? One of the ways to remedy the fear for examinations is to prepare well in advance. Preparing in advance, though does not guarantee immunity against testophobia, gives the candidate the confidence that he/she can tackle the questions that may come in the exams and reduce any lingering stress. Candidates must be advised not to mug up. It is always wiser to understand what the topic is all about instead of just cramming everything to memory, hoping to pour it out when a question is asked on it. The danger is that, a little mix up can cause confusion and make you forget the sequence in which you mugged up. It is advised that when the paper is very close, do not attempt to learn new topics, especially if you have not tackled them at all, previously. It would be prudent not to chat with your friends concerning what they have or may have not studied. If in the course of the conversation you realized that they have covered more grounds than you have, it may make you think you are under-prepared for the exam. This may make you more nervous and tensed that you should be. There is the need to draw a personal time table. A personal time table helps the candidate to plan his/her studies. Make sure you allot more time to the subjects you think you have more difficulties or the ones with the greatest volume of learning materials. When this personal time table is strictly adhered to, it is bound to assist in the candidate’s preparation for the exams. The West African Examinations Council has been in existence for ages and their past papers are all around. There are textbooks that have dedicated all their pages to past W.A.E.C. Questions and Answers. It is a well known fact that these past questions are often repeated in subsequent examinations. Therefore solving past questions can help a candidate to be adequately prepared for the examination and prevent the onset of testophobia. You can also find the W.A.E.C. marking schemes on their website. It tells you how to approach the various questions that are asked and to tackle them. The candidate could try studying in a group. When a candidate studies in a group, he/she is able to determine what is important. It could also help the individual to identify some of the things he/she had overlooked. This affords the candidate enough time to remedy any lapses as he/she prepares for the examination. There is a symbiotic benefit to this approach. While the group helps the individual to learn and cover more grounds, the individual helps the other members of the group. It is believed that when the remedies enumerated above are implemented by candidates, school authorities, teachers and parents, it would reduce the fear of examination to the barest minimum so that students can enter the examination hall with much more confidence than was previously mustered.